1 month ago The second round of #FundyMadness begins today with the regional semi-finals of the Animal division and Bacteria division. Who are you sending to the Fundy Four, and who are you sending packing? VOTE on our story to show your support and be sure to tag eco-loving friends for bonus entries. Prize this round is a $40 gift certificate to the magical @timbertopadventures in Dominion Park. HOW TO ENTER 1. Be sure to follow @ecwinc if you’re not already. 2. Check out our story by tapping on our profile picture and vote for the creatures you think should win #FundyMadness 3. The Fundy Hiking Trail Association is a non-profit group of volunteers who maintain the Dobson Trail and the Fundy Footpath. All trail maintenance, development, and promotion is done through the work of volunteers. If you enjoy the outdoors and want to donate some of your time or expertise to improve these wonderful trails, we would love to have you join our team. If you prefer to make a monetary donation in lieu of your time, please contact us or use the Paypal link on the left. Tax receipts are available for donations of more than $100. Get trip planning advice on our very active Facebook page. Don’t forget to use #fundyfootpath or #dobsontrail when sharing pictures of our beautiful trails! The Fundy Footpath is a rugged 49.3 km wilderness trail with steep changes in elevation that runs from New Brunswick’s Fundy Trail Parkway near Big Salmon River to Fundy National Park. In 2017, over 1,000 people hiked the trail from end-to-end. Completed in the fall of 1994, the Fundy Footpath has quickly garnered attention as a world-class wilderness hiking experience. In 2015, Explore Magazine listed the Fundy Footpath as one of the 50 best hiking trails on the planet! The Dobson Trail is a continuous footpath through New Brunswick’s Albert County wilderness that stretches 57.75 km from Riverview to the northern-eastern boundary of Fundy National Park. It is an all-season trail traversing a variety of woodland terrain. The trail winds through deciduous and coniferous stands, crosses a beaver dam, touches a lake, ascends slopes, and features magnificent look-outs including Prosser Brook Ridge, the Kent Hills windmills, and spectacular Hayward Pinnacle. The Fundy Trek is the name given to the continuous trail that is made possible by hiking the complete Dobson Trail, through the Fundy National Park Trails to connect and hike the Fundy Footpath. To get an idea of what the Fundy Footpath has to offer, watch the video below showing one man’s novice journey – with an experienced support crew of course! 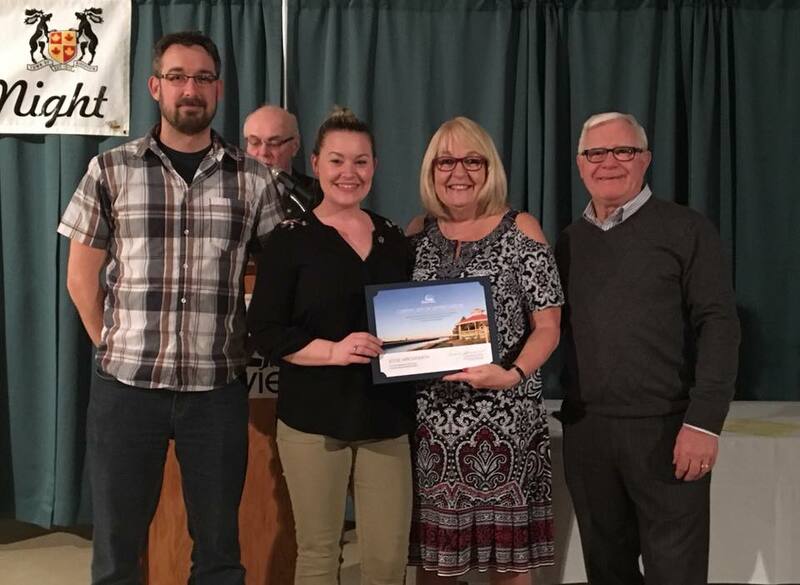 At the Town of Riverview’s Volunteer Recognition Night 2018, we were proud to recognize Dobson Trail Master Jessie Arrowsmith for her outstanding volunteer work with the Fundy Hiking Trails Association. Her most recent project has been working with other volunteers in the community to develop a 3 day, overnight camping experience in Fundy National Park for at-risk youth in the Greater Moncton Area.